I never heard of this Oriental Plus brand until I saw a fab demo of this Oriental Plus Body Scrub for Sparkling Skin at HomeShop18 channel and it was then I ordered this scrub after being super impressed by the demo which showed its amazing results on skin. Though I know these are marketing gimmicks and are not always 100 percent true, but since I was so amazed by this Oriental Plus body scrub, I could not resist myself and ordered it the same day. I hope you remember my Homeshop18 online shopping experience in which I ordered this Oriental Plus Body Scrub. 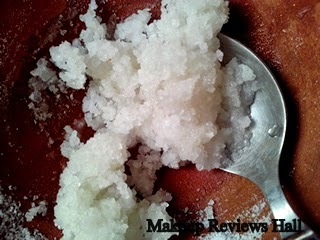 As promised I am doing a review of this scrub. 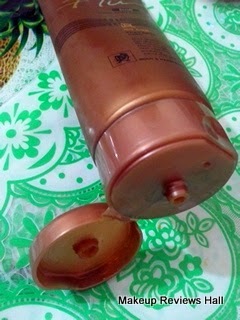 What this Oriental Plus Body Scrub for Sparkling Skin Details? 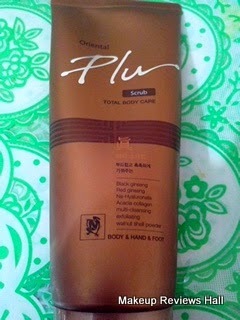 Price - Rs 699/- for 200 g.
This Oriental Plus Body Scrub comes in a big tube. Yes this is a big tube than normal tubes and is brown in color. 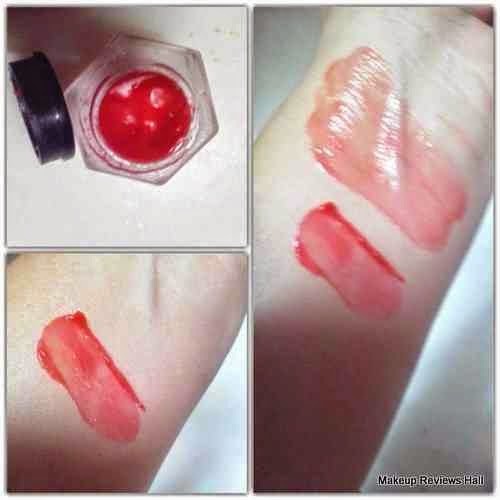 The tube is super convenient to use because of the flip at top, to squeeze the required amount from top. 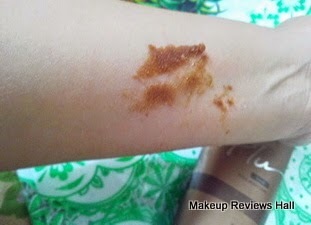 This scrub is made of walnut and appears to be of similar brown color. The scrub is very different from other scrubs. It gives a really thin feel on touch. I am not talking about the consistency here, but the texture which is very gentle and you feel very tiny particles unlike other scrubs. Also the scrub is very creamy to touch at and not harsh at all. The smell of the scrub is simply divine. 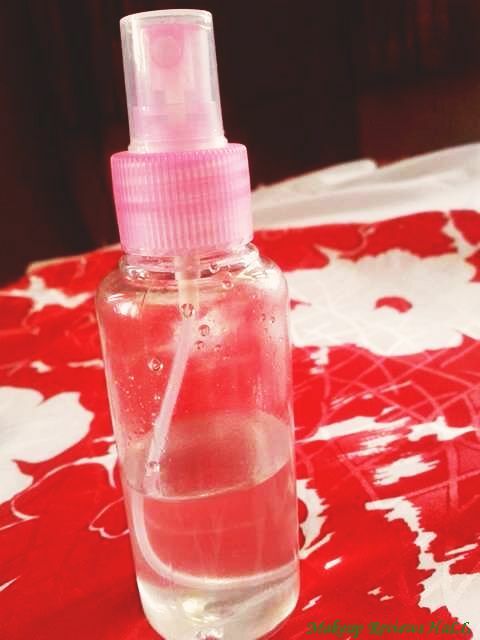 Its an exotic floral fragrance which even lingers on skin after wash. Regarding the application part, you need to take generous amount and apply it on your wet skin (anywhere except face, this scrub is not to be used on face) and gently massage it in circular motion for about a minute. You have to keep rubbing it gently over your wet skin for a minute. The skin needs to be wet for proper effect or you can take some water in your hand before rubbing, then rinse off and pat dry followed by a moisturizer. This was all about the scrub. But what made me order this product. 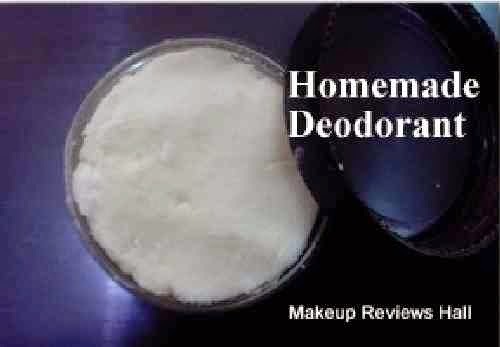 I normally prefer my homemade scrub for exfoliation but when I saw Oriental Plus Scrub demo on Homeshop18, I was amazed to see how beautiful looking glowing skin it gave in just minute. Not only that, they showed how different the skin appear before and after use. The difference was not only in texture, smoothness but also in color. The skin looked visibly lighter after using this product. So did I experience all this while using this Oriental Plus Body Scrub. Well yes and no both. I used this scrub on my left arm only, so that I could compare it with the right one later. I rubbed it gently over the skin for a minute and then rinsed off. My left arm skin appeared to be much smoother, brighter and radiant compared to the right arm. It had that sparkling effect in the skin tone but there was hardly any difference in the skin complexion of the two. The left arm skin appeared to sparkling, bright, radiant and full of life opposite to dull tired rough skin of right arm but the scrub did not help in skin lightening. If if did, the result was not noticeable. Now the good part. Though it didn't lighten the skin in just 1 use, but I have been using this Oriental Plus Body Scrub since 2 months and have used it almost 5-6 times and now I can feel that my skin has lightened somewhat after using it. I was little worried before whether it would suit my sensitive skin or what if it reacted on my skin, but till now I haven't faced any issues with the use of this Oriental Scrub. Overall I am happy with this Oriental Plus Body Scrub, it gives nice sparkling radiant skin instantly getting rid of dull skin and also result in better skin over time. But the only con is its price. Its little expensive and not so easily available offline and online. Rejuvanates dull dry skin instantly. Comes in easy to use tube form. Cannot be used on face. No skin lightneing in a sigle use. Beautifully reviewed dear! This looks like a great body scrub to try...the only one i am enjoying these days is the TBS's cocoa body scrub...will give this a try too! This scrub looks nice, something that I can use. Thanks for the review. 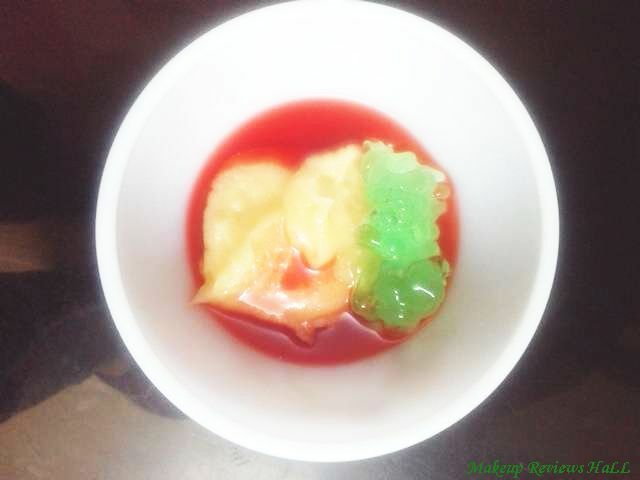 Nice review ......do you have any idea about Oriental Jin plu scrub which they have launch recently. I have been delivered this product today, i bought single product, and homeshop 18 is selling it for 699 rs + 69 shipping charges. However when i saw the cover of this product it is clearly mentioned that it is for rs 500 (inclusive of all taxes). i wonder how they are selling it for rs 699. Has anybody encountered same thing?? ?when i asked their customer care they said it is a printing mistake. too awesome. i have been delivered this product today , i bought single product, and homeshop 18 is selling it for 699 rs + 69 shipping charges. However when i saw the cover of this product it is clearly mentioned that it is of rs 500 (inclusive of all taxes). i wonder how they are selling it for rs 699. There is no such printing mistake. I have also ordered it and encountered the same problem. They are making profit above the mrp price..
Been using it for months.. 3x a week., and it certainly did whiten my skin. My friends noticed it also. Plus the scent lasts long. i used the product and personally i loved it..
after one use it leaves your skin glowing and moisturized but not that radiant as shown. 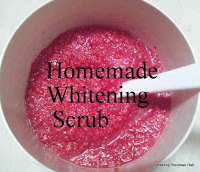 However repeated use makes the skin radiant. 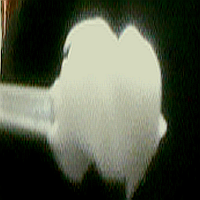 i had a slight iron burn mark on my left arm which wasn't visible unless viewed closely and believe me after repeated use of oriental plu the mark disappeared.